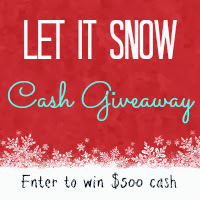 Sowdering About: Let it Snow $750 Giveaway! Let it Snow $750 Giveaway! Extra cash around the holidays is always nice right? Well I am happy to be able to bring this giveaway to you to help!